Egyptian Front has submitted a list of 41 names it wants to run on the electoral list of former prime minister Kamal Ganzouri, in a sign that an agreement for a joint list has been sealed. 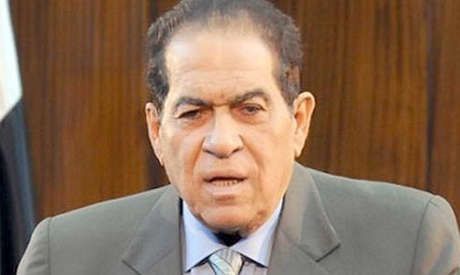 Ganzouri served as prime minister under president Hosni Mubarak and the Supreme Council of the Armed Forces (SCAF). Egyptian Front spokesman Mostafa Bakri said the coalition was still preparing its list of candidates for the individual seats. "We're not specifying a definite number of candidates on [Ganzouri’s] list, but we hope for a proper percentage," he said. According to Bakri, the Front is currently not in negotiations with any other coalition, and talks with the Wafd coalition have been frozen. The Front is a coalition of seven parties, including the Egyptian Movement of Ahmed Shafik, Mubarak's last prime minister, and the Congress party, founded by Amr Moussa, another Mubarak-era minister, the leftist Tagammu Party, and others. Nagi El-Shehabi, president of the Generation Party, confirmed that the coalition has candidates for all constituencies, on both individual and list seats. He said the most important candidates in the coalition were Refaat El-Saied, former president of Tagammu, in addition to the presidents of most of the coalition’s parties. The cabinet is expected to approve the draft electoral constituencies law on Wednesday. It divides the country into 231 constituencies, some returning one deputy, others returning two or three. Should the cabinet give final approval for the draft law, it will be sent to the legislative department of the State Council, which will review it from a legal standpoint. The State Council will then send the finalised draft to the president, who temporarily holds legislative power, and he will issue the law. The House of Representatives will comprise 540 seats: 420 seats for individual candidates and 120 for closed party lists. The parliamentary election has not been officially scheduled. Nonetheless, the presidential spokesman announced that the election would be held by spring 2015 at the latest.